Having studied art in school, and never actually using my talent regarding a career, I started to sculpt at the age of fifty. A good friend, invited me to take a pottery class with her. Having no desire to make, and decorate, plates I informed my teacher that I wanted to sculpt a head. I had no previous knowledge in this field. She told me to take photographs of my daughter, bring them to class, she would then set up the armature and explain the technique. I was then 'on my own' as, either, I had the talent to sculpt or not! After my daughter's portrait, I followed up with my husband's portrait. 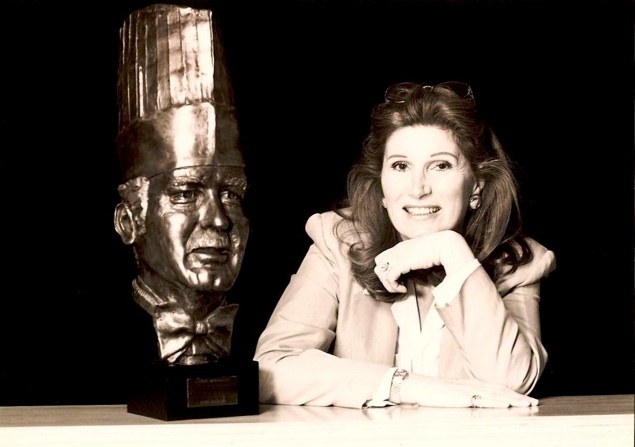 I then approached an old friend, Anton Edelmann who was Chef Maitre des Cuisine at the Savoy Hotel, to sculpt his portrait. My sculpting took off from there, as you can see. Recently, I started to paint again, working mainly on politically motivated subjects. I am now working on abstracts and shall post soon. I am happily married - will be thirty years in March 2010 - and living in Los Angeles. We have a beautiful twenty-eight year old daughter, Alexandra, who is an up and coming photographer.